It's Fridnesday! Hooray for long holiday weekends! I had an adventurous morning but really, the story starts with last night. 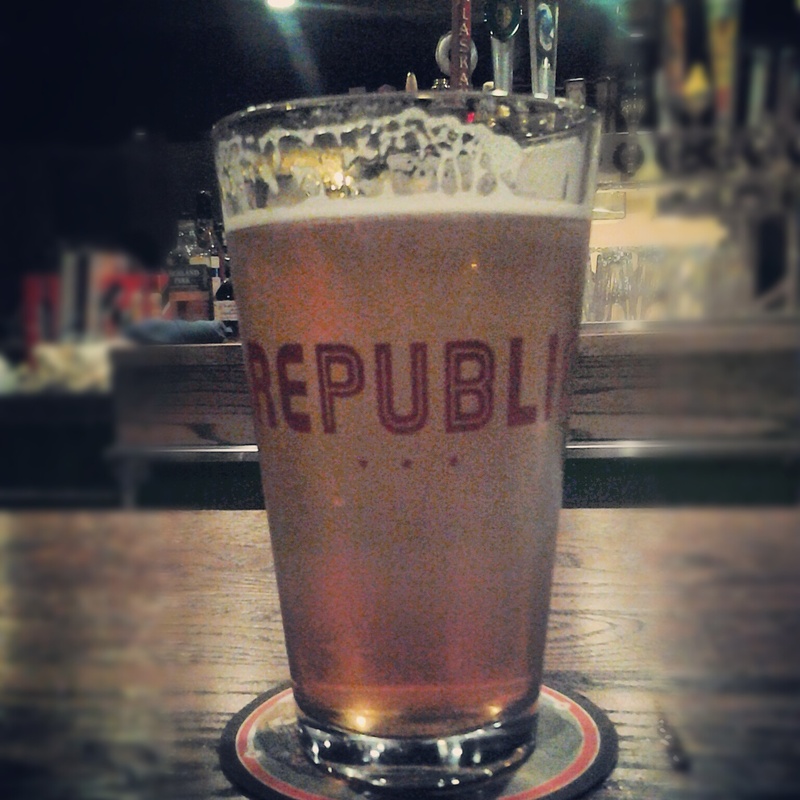 It was a semi-late night as Colleen and I went to Republic's new location in Calhoun Square. She peer pressured me into "just one more", bringing my total beer count to three. My stomach only had red curried chicken and veggies (no rice) in it so there was little to "soak up" those fermented grains. I very much enjoy living within walking distance to Uptown. 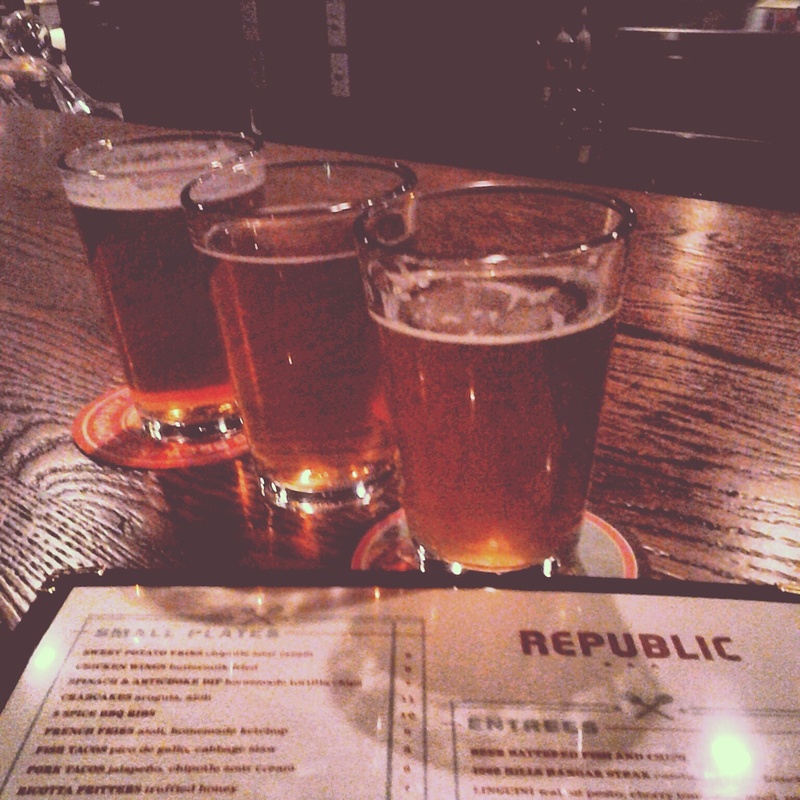 beer flight. three 8oz beers, $10. do it. So anyway, this morning when my alarm went off at 5, I laid there for a few minutes but eventually got up and dressed and out the door. Into a heat wave. Tights and a jacket were extreme overkill. I think it was like 45 degrees. Thank you, Global Warming. My run was fairly uneventful until the last mile, when the beer and red curry from hours earlier began to brawl in my stomach. 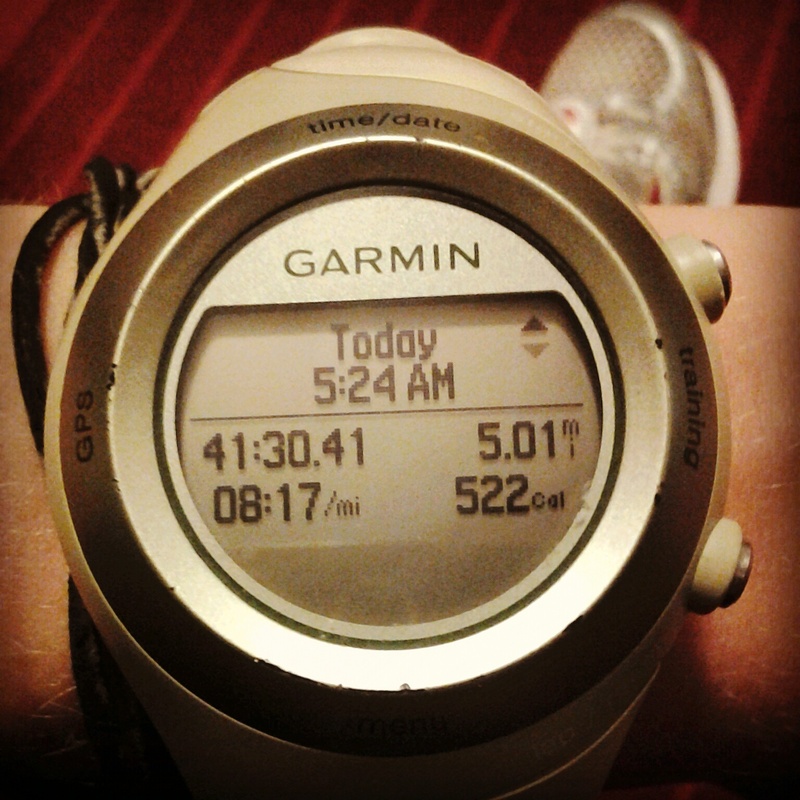 Fearing I would mar my perfect record of not pooping my pants while running, I did the whole run-walk-clench the last mile. Don't judge, you've totally been there. I made it home safely and evacuated the contents of my stomach. This whole episode put me into a severe time crunch because I had to be out the door by 6:30 to make it to G & G's by 7, leaving no time for a shower. I quickly threw clothes and shower essentials into a bag and left, planning to get ready there. Except I forgot to pack a bra, a fun fact I discovered while getting dressed at my grandparents. So my story resolves with me going into Target (braless), buying a bra, and putting it on while driving to work. I would like to make a joke about breasts and Thanksgiving but I can't come up with one. At least you know I tried. PS- In running news, there is running news! Thanks in large part to KT tape and my foam roller, I'm running again. 20 miles last week, 23 on tap for this week. haha glad you didn't ruin your record of not pooping your pants! ah forgetting the bra is terrible! Last week I was transitioning from pool to Pilates and dropped my pants in a puddle of water! I rung them out the best I could but had to wear them anyway! I was freezing!